3 Tips to Spice Up Your Twitter! As a college student, social media is everything. It’s a great way to get connected to people on campus. You can learn more about your followers & your followers can learn more about you. Tweeting consistently with hot topics on campus allows my name to be put out there, and hey, who doesn’t like a little popularity? Think of the world as your college campus, and yourself as the eager college student hungry for attention. 1. A Picture is Worth a Thousand Words! In all honestly, Instagram used to be my favorite social media platform. It was visually pleasing and my Instagram profile got a lot more traffic than my Twitter. BUT, Twitter now offers the option to post up to 4 pictures per tweet and videos! I would encourage those wanting to expand their traffic on their Twitter page to post pictures showing their audience what they’re up to, not just writing about it. Fun Tip: I’m a big fan of the hashtag #TodayIn4 then posting 4 pictures showing the highlights of the event or day you’re tweeting about! Twitter has some really cool features that make it very unique from other social media platforms! First, let’s talk about GIFS. Not only are they hilarious and relatable, but they will really catch the eye of your followers. Certainly they won’t work for Every. Single. 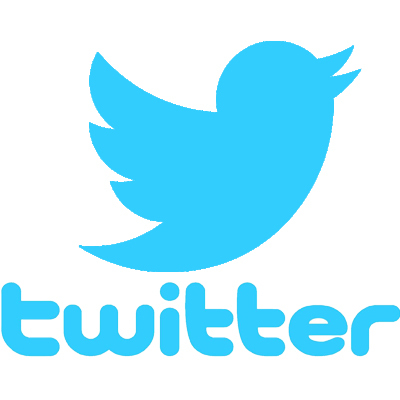 Tweet, but used in moderation (I’d suggest 1 for every 50 tweets) they can make a great impact. Fun Tip: Use the Poll Feature! It’s a great way to engage your followers and allow them to feel like they have an input on your business or life in general. Your profile should match the impression you want to give your followers. You wouldn’t go to an important meeting in sweatpants and a hat, and you wouldn’t go to a comedy club in a tux. SO, take some time to decide the impression you want to give your followers. If you’re going for professionalism, consider a black & white theme, a straight-forward bio, and a link to your website. If you want your followers to view you as an easy-going, next-door-neighbor, consider a funny or colorful cover photo, and a profile picture of you with your friends. Be sure to have your settings set to let everyone Direct Message you, not just people you follow. That way if people have a question, or want to have a conversation in person, you can chat with them! Be sure to check your Direct Messages at least once a day to build a good response reputation. Fun Tip: If you have a tweet that got a lot of Retweets or Likes, or a tweet that you think really captures the essence of you or your business, go ahead and PIN it to your profile. This way, when people go to your profile, that tweet is the first thing they see!